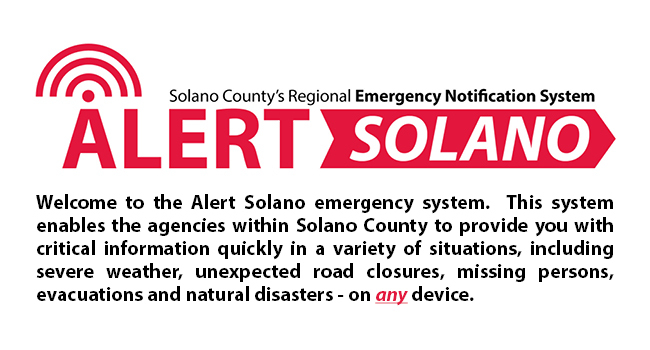 The County of Solano, in partnership with the seven cities, are encouraging everyone who lives, works, plays or travels through Solano County to register for the new Alert Solano emergency notification system. Residents may sign-up to receive emergency notifications via phone and/or e-mail by going to www.alertsolano.com. Anyone can sign up to receive e-mails from the City. Follow the link to the City’s Communications Sign-Up and choose from a list of newsletters, agendas, reports and other City Communications. Your information will be held privately and will only be used to deliver the requested information to you or to give you access to your profile of subscriptions. Several departments post general information and communication on a regular basis. The Calendar feature provides information about City of Vallejo official and sponsored events. A tool to report non-emergency maintenance problems. Watch official and sponsored videos on the City of Vallejo YouTube channel.